The New Pornographers sort of played to a hometown crowd just this past weekend at the Pemberton Music Festival, but the BC-bred pop powerhouses will bring things even closer to home this fall with a two-night stand in Vancouver. AC Newman and the gang get back on home turf later this fall, playing Vancouver's Commodore Ballroom on October 3 and 4. The first night of festivities finds the band playing alongside Seattle's Pickwick and feisty Vancouver funk flingers Cool. Night two will have the Pornos sharing the stage with indie pop wonders the Pains of Being Pure at Heart and High Ends. Tickets for the shows go on sale Friday at 10 a.m. local time. 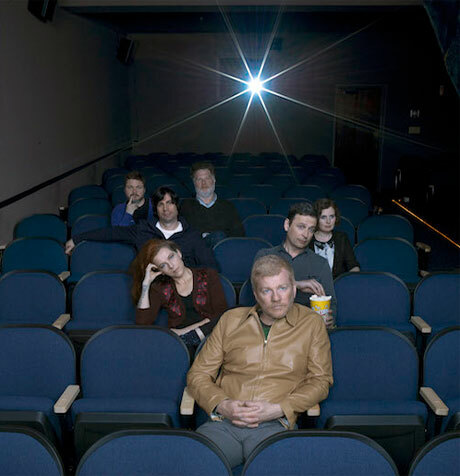 As previously reported, the New Pornographers and Pains of Being Pure at Heart will then team up for a U.S. tour. You'll find the show info down below. The announcement comes off the heel of a series of recent show reveals, all in support of the group's forthcoming Brill Bruisers LP, which arrives August 26 through Matador in the U.S. and Last Gang Records here in Canada. For Canuck fans, this means you can catch the group at Edmonton's Sonic Boom Festival in August, as well as Toronto's Riot Fest and Victoria's Rifflandia in early September. Read our recent Timeline on the New Pornographers here.